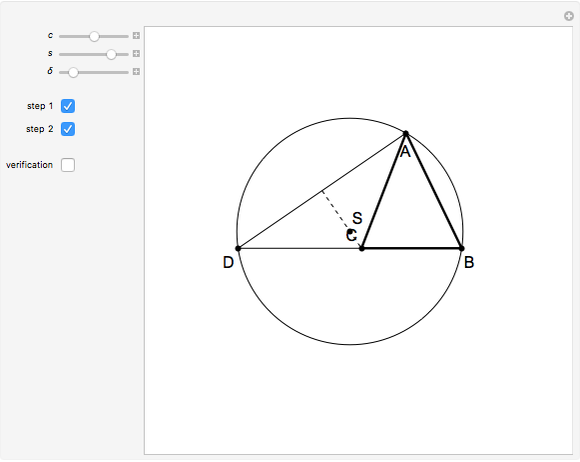 This Demonstration shows a construction of a triangle given the length of its base , the sum of the lengths of the other two sides and , and the difference of the base angles. 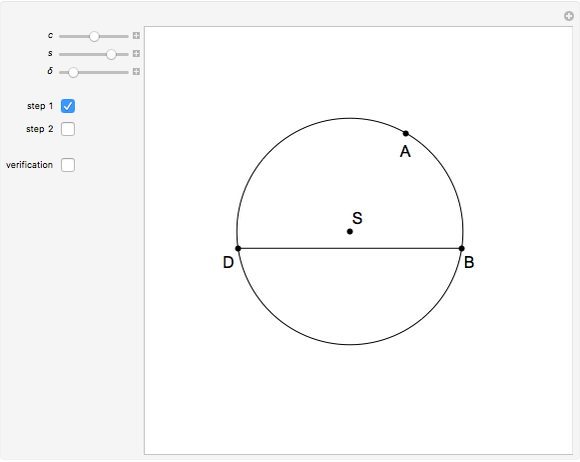 Step 1: Draw a circle with center with central angle above the chord . 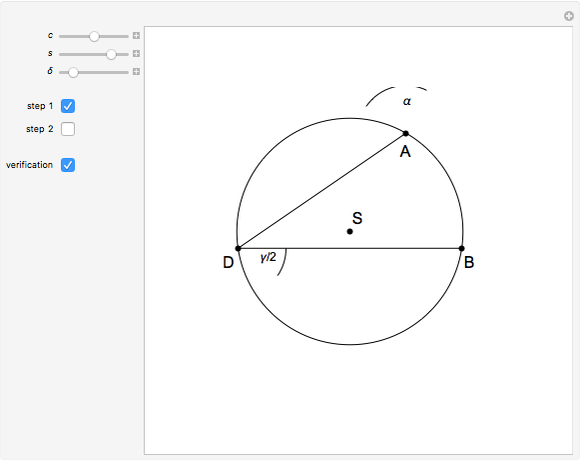 Step 2: Measure out the point on the circle at distance from the point on the other side of from . Let the point be the intersection of and the right bisector of . 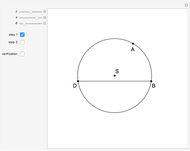 Since the central angle equals by construction, . On the other hand, , so . Izidor Hafner "12. 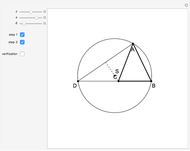 Construct a Triangle Given the Length of Its Base, the Perimeter and the Difference of the Base Angles"